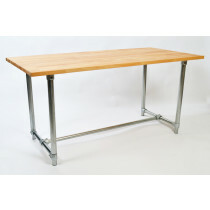 A galvanised steel frame suitable for wooden table tops. Requires drilling into the table top. Available in lengths from 0.5 m to 2 m. Height from 0.5 m to 2 m. Custom sizes possible. 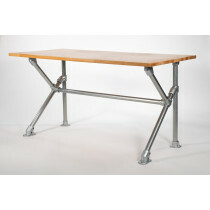 A sturdy galvanised steel frame that will hold even the heaviest table tops (concrete, marble, quartz). Available in lengths from 0.5 m to 2 m. Height from 0.5 m to 2 m. Custom sizes possible. The Z frame table kit goes well with glass table tops (or any other transparent materials). 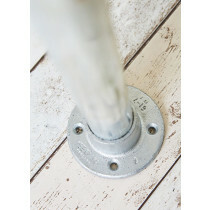 Made of galvanised steel. 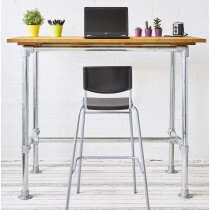 Great for co-working and office spaces, as it allows you to work in both a standing and a sitting position. Made of galvanised steel. The K frame kit has been designed to help you build a gaming table or a desk for your home office. 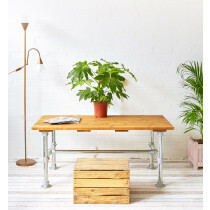 Single table legs that will help you create the perfect desk or table for your home. Made of Aluminium. 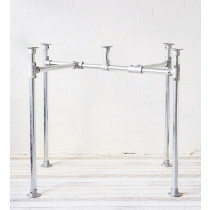 Single table legs that will help you create the perfect desk or table for your home. Made of galvanised steel.